Situated right on the border of North Indian states of Punjab and Himachal Pradesh, the very famous Bhakra Dam is the highest straight gravity Dam in the world. The view of this vast dam and the surrounding jungles is absolutely stunning and so, a lot of tourist visits this amazing place to take the glimpse of this engineering marvel. The Bhakra Dam is four decade old and it lies in the Bhakra village of Bilaspur, which is about 13 km upstream from Nangal township. The dam is visited by more than 2 to 3 lakh visitors every year from all over the world. 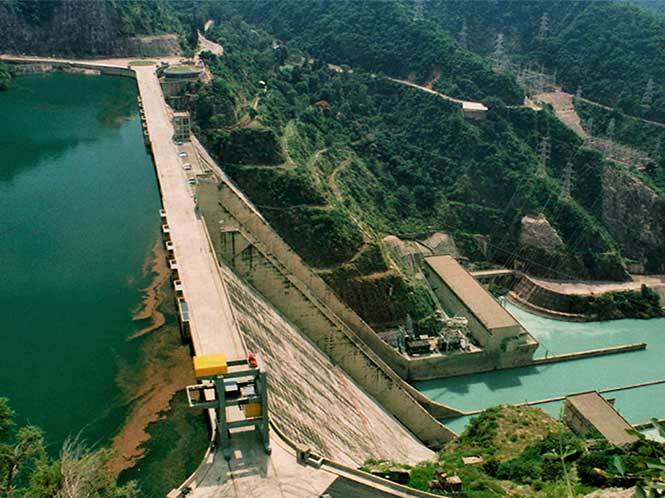 Built across the Sutlej River, the Bhakra Dam is Asia’s second tallest at 225.55 meters (740 feet) high next to the 261 meter Tehri, which is also in India. 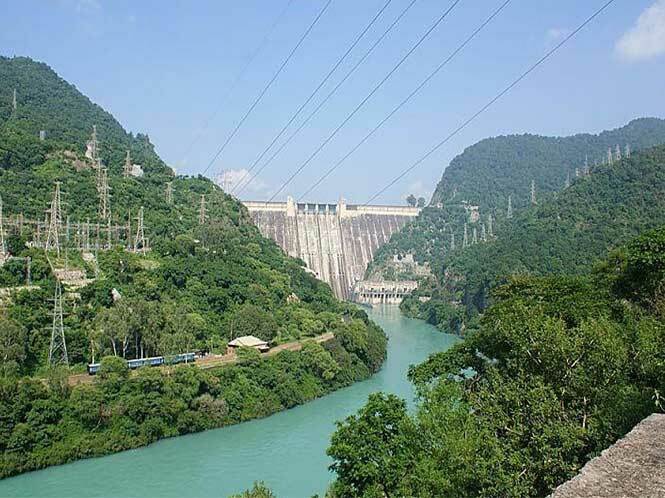 The Gobind Sagar, reservoir of Bhakra Dam, stores up to 9.34 billion cubic meters of water, which is enough to drain the whole of Chandigarh and parts of Haryana, Punjab, and Delhi. In terms of storage of water, the dam withholds the second largest reservoir in India, the first being Indira Sagar Dam in Madhya Pradesh with capacity of 12.22 billion cubic meters of water. The dam was constructed to prevent floods in the Sutlej-Beas river valley, to provide irrigation to adjoining states, and to give hydroelectricity. It becomes a prime tourist spot in Bilaspur because of its huge size and uniqueness. The Bhakra Dam is three times taller than the Qutab Minar and occupies the important position on the map of India. The Bhakra Dam is one of the earliest river valley development schemes undertaken by India after independence. The construction of this dam started in 1948, when Jawahar Lal Nehru poured the first bucket of concrete into the foundations of Bhakra. The dam was completed by the end of 1963 and its construction was started by Sir Louis Dane, the Lieutenant Governor of Punjab. Tourists visiting Bhakra Dam also have the opportunity to try the water sports at the famous Gobind Lake. This is an artificial lake formed as a result of the Bhakra Dam on the river Sutlej. The lake is quite popualr for the sports such as water skiing, sailing, kayaking, and water scooter racing. One can also visit the holy shrine of the Naina Devi, overlooking the Gobind Lake and experience jungle safari, nearby wildlife sanctuary. Engineering comes to perfection in the Bhakra Dam, which is virtually the central nervous system of northern India. The dam supply electricity to the entire region and helps run industries, corporate houses, etc. It offers amazing view of the Sutlej River and stands beautifully in the midst of the natural beauty of Shivalik ranges.